Our integrated lighting control solutions include motorized shades - adding beauty, convenience, and comfort throughout the home. Featuring exclusive Quiet Motor Technology™, Crestron shades provide silent operation and convenient, one-touch control. What makes Digital QMT® shade motors, our exclusive motor technology, so unique is the brushless motor design. Brushes in DC motors wear over time, causing the motor to fail. Our new brushless motor provides greater reliability, much longer life, and ultra-quiet operation. Even better, automated shades lower utility bills and increase the home's value and security. An elegant Crestron® shading solution that features horizontal fabric vanes floating between two layers of sheer, knitted fabric. Wide selection of light filtering and room darkening fabrics. Digital QMT® motorized operation achieves silent operation, with the choice of Cresnet® wired or infiNET EX® wireless communications for control system integration. Manual option also available. Thanks to our exclusive new Color Match service, Crestron roller shades are now available in any color your customers desire. All you have to do is provide a Pantone® color code or a physical color sample and we’ll do the rest. It couldn’t be easier to offer shades that integrate perfectly into your customers’ design schemes. No other manufacturer offers this level of customization and flexibility – use it to drive your shade sales! The Crestron Color Match service is ready to go in the CDT for both motorized and manual roller shades. It is available in fabrics with openness factors of 1,3,5 and 10% as well as blackout shades. Crestron Color Match allows you to offer customers the best performing, highest quality shades and unparalleled color customization. Start using this exciting new service to your advantage today. If you have any questions, please email us at colormatch@crestron.com. Crestron lighting control and motorized shading solutions deliver precise, quiet, one-touch control of electric and natural light for years. Our motors are subjected to rigorous testing at maximum torque. We meticulously monitor speed, torque, current, voltage, position and noise to ensure our motors maintain their specs. They can also be combined with our advanced entertainment, climate, and security controls, so you can control everything in your home anytime, anywhere, from elegant touch screens or your favorite smart devices. The perfect window treatments enhance the look and feel of any room. Custom Crestron automated window treatments are perfectly tailored to fit each window or set of windows in your home. Automating them means that you can quickly and quietly set the mood anytime, day or night, at the touch of a button. Whether you are looking for roller shades, Roman shades, skylights, drapery track or a combination, Crestron has every window treatment you need. Select one of the window treatment styles below to learn more. Looking for quiet, precision control of daylight and privacy at night? Crestron Roller Shades are the perfect solution. They're ideal for a flat clean look or in conjunction with more decorative drapes. Roller shades are available in widths up to 15 feet to meet the requirements of any project. QMT3 Series and QMT5 Series Architectural Shade Hardware systems provide simple, reliable mounting solutions for Crestron® roller shades. With a small form factor and simple installation, the Architectural Shade Hardware can be mounted to a wall or ceiling or in a pocket or window jamb. The QMT3 Series Hardware is the smaller of the shading solutions, perfect for small mounting spaces or installations that require shades with a slim profile. QMT5 Series Hardware supports larger roller shades or shades with a heavy fabric. Options for single roller or dual roller shade applications ensure that this shading solution perfectly suits the needs of every application. QMT3 Series and QMT5 Series Décor Shade Hardware systems deliver elegant, reliable mounting solutions for Crestron® roller shades. Décor Shade Hardware achieves a contemporary aesthetic with a completely exposed shade. Enhance any space by mounting this modern shading solution to a wall, ceiling, or window jamb. The QMT3 Series Hardware is the smaller of the shading solutions, perfect for small mounting spaces or installations that require shades with a slim profile. QMT5 Series Hardware supports larger roller shades or shades with a heavy fabric. End caps available in a variety of colors ensure that this shading solution perfectly suits the needs of every application. Roman shades serve more than just the functional purpose of reducing or blocking out sunlight. The bold look of Roman shades can make them a focal point of a room. Unlike typical Roman shades, which are raised and lowered with lifting cords, Crestron Roman Shade Systems offer quiet, super-smooth one-touch control from a wall-mounted interactive keypad, touch screen, or your favorite Apple® or Android™ device. 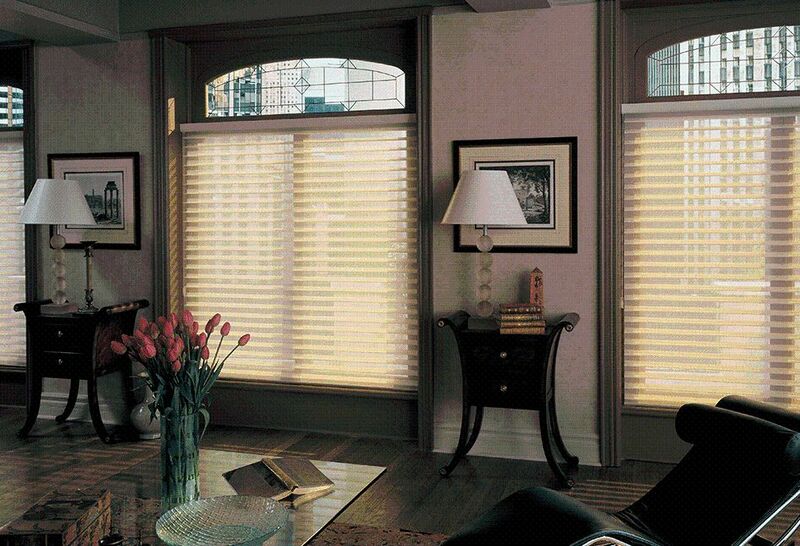 You decide what your Roman shades look like and we’ll make them work beautifully. Purchase our roman shade kit and give it to a local workroom to fabricate the final roman shade with your preferred fabric. Draperies add a soft, graceful touch to your décor. Crestron Drapery Track Systems provide elegant, and convenient control. Control pinch pleat, Ripplefold, and Accordia-fold styles on straight tracks using Crestron drapery motors. The Crestron Design Tool (CDT) is a one-stop resource for all your Crestron Shading Solutions designing, quoting and ordering needs. Create revisions within your project and easily perform side-by-side comparisons based on fabric selections, different sections of a project, etc. Ready to begin creating a quotation? Contact our shade experts at 855-53-SHADES or via email at shades@crestron.com for CDT access. Please contact our Technical Sales Team at techsales@crestron.com and we’ll be more than happy to answer any questions related to your project. The Crestron shade fabric library is second to none, allowing you to deliver world-class shading solutions with unparalleled beauty and style. To ensure your customers find the perfect shades for every room our Shade Fabric Gallery provides an exclusive assortment of fashion-forward patterns and colors handpicked by interior designers. Fabric selection is an essential part of window treatment design. Crestron offers more than 400 fabric selections to choose from, including transparent, translucent, and blackout materials. We offer a full complement of brackets and accessories for each window treatment type. Use this link to: Order Fabric Samples. Place Crestron Shade Fabric Binder orders with your local Crestron Market Development Manager. Find yours here. Transparent fabrics transmit light so that objects or images are seen through the weave of the fabric. These have an openness factor between 3-17%. Benefits: Solar protection, natural light and glare control, and reduced solar heat gain. Translucent fabrics transmit diffused light and enhance privacy. The exterior view is only partially visible as silhouettes and shadows. These fabrics typically have an openness factor between 1-3%. Benefits: Solar protection, privacy, enhanced natural light filtration, and reduced solar heat gain. Blackout fabrics provide advanced light blockage and privacy. Use additional accessories to create a complete blackout solution and prevent light leak between the fabric and the jamb, and the hem bar and the sill. Benefits: Ultimate light and glare control, complete privacy and a dramatic reduction in solar heat gain. Look for this icon to select fabrics that have been certified to be safe and healthy for indoor environments. These fabrics comply with the LEED Green Building Rating System™. Look for this icon to select "green" fabrics that are PVC-free and can be 100% recycled for continued sustainability. Look for this icon to select fabrics that have built-in protection to inhibit the growth of microbes that can cause stains, odors, and fabric deterioration. Look for this icon to select fabrics that contain no polyvinyl chloride (PVC), which is a known environmental and health hazard. Look for this icon to select fabrics that have been tested and certified to meet industry standards for hazardous lead or lead-based compounds. Look for this icon to select fabrics that prevent or resist the spread of fire. Block out 100% of the light in windows by adding blackout accessories to your roller shades. Each is available in a variety of finishes to complement any décor. Keep the same look and feel on all your windows even if they are not all motorized. Many of Crestron's roller shade solutions are available in a manual, or clutch, operation. For a clean unobtrusive look, hide the rollers in a recessed pocket, hidden in the ceiling. Crestron has all the accessories you need to get the perfect look. For a more industrial, modern look or for instances where pockets can't be recessed, Crestron offers a selection of versatile on-wall fascias and top back covers for a clean, finished appearance. Shade motors require power; only Crestron offers a new Intelligent Power Supply, delivering several distinct advantages for shading professionals. It can power up to ten motorized shades, each with its own fuse. The power supply is designed to work with all Crestron shade motors and includes built-in diagnostics that make it simple for shading professionals to identify broken wires, shorts, and blown fuses. Need to power just one shade? Click here. The integrated five-segment Cresnet® hub provides an isolated control network for each pair of shades, therefore limiting the impact of any wiring faults. The power supply ships ready to mount on the wall or pre-installed in a 1x1 CAEN enclosure for easy, clean installation. The convenient on-board push-button controls make it simpler for an installer or technician to test for proper operation prior to system commissioning. This elegant brochure introduces customers to the many benefits of integrated lighting and shading control: convenience, energy savings, aesthetics, security and protection. Combined with our advanced climate, AV and security controls, you have a complete home automation solution that maximizes efficiency, convenience and comfort at all times. Crestron shading solutions combine designer fabrics, elegant hardware, and world-class technology to transform any room into a more spectacular space. A review of the most common naturally occurring effects observed in shade fabrics and how to remove or alleviate them. Use this convenient pricing guide to estimate shading budgets for customers during the sales process. Pricing options are provided for the most common roller shade applications using "Good, Better, and Best" fabric options from our Designer and Heritage collections. This is the most up-to-date listing of all Crestron roller shade fabrics. This document will be updated frequently to reflect changes in fabric specs, properties, characteristics and availability. There are many factors that influence the aesthetics of a finished shade. The purpose of this document is to outline some of these aesthetic issues, explain their causes and recommend solutions to minimize or remedy these characteristics. A case containing samples of the QMT®3 Series Architectural and Décor shade hardware. A case containing samples of the QMT®5 Series Architectural and Décor shade hardware. Samples of Crestron’s beautiful, high-quality Heritage and Designer roller shade fabrics elegantly displayed in an attractive binder. Crestron partners with Hartmann & Forbes to offer an exquisite new assortment of 40 artisanal shading textiles. Whether you're an experienced shade installer or completely new to them, we'll teach you everything you need to know. Hartmann&Forbes Intro Course: Online tutorial available to all Crestron dealers and partners. Learn about Hartmann&Forbes hand-woven textiles. Gain a better understanding of the product line, how to set customer expectations, the sales process, and available tools. This document provides the best practices to follow for designing and installing Crestron shades and drapery track systems. In Part 1, we will demonstrate how to properly measure a window for a Crestron Roller Shade. In Part 2, we will demonstrate how to properly prep an area for shade installation. In Part 3, we will look at the steps involved in successfully install a shade. One-Line Riser for a system which includes a control processor in a dedicated enclosure, a 120V 8-Circuit 3-phase 4-wire MLO switching panel, and suggested control points. One-Line Riser for a system which includes a control processor in a dedicated enclosure, a 120V 24-Circuit 3-phase 4-wire MLO switching panel, and suggested control points. One-Line Riser for a system which includes a control processor in a dedicated enclosure, a 120V 42-Circuit 3-phase 4-wire MLO switching panel, and suggested control points. One-Line Riser for a system which includes a control processor in a dedicated enclosure, a 120V 48-Circuit 3-phase 4-wire MLO dimming panel, and suggested control points. One-Line Riser for a system which includes a control processor in a dedicated enclosure, a 120V 60-Circuit 3-phase 4-wire MLO dimming panel, and suggested control points. A comprehensive overview of available shading and drapery styles, options, and accessories. This serves as a great tool for dealers and partners to become familiar with our complete line of shading solutions. Below are shading solution Spec sheets. For lighting control, interfaces and energy management spec sheets, please see the product page resource tabs. Below are shading solution CAD and Revit® files. For lighting control, interfaces and energy management CAD and Revit® files, please see the product page resource tabs. Autodesk's popular Revit® Architecture BIM platform enables architectural, design and engineering firms to collaborate on building projects using 3D CAD drawings. For Crestron Roller Window Shades. Construction Specifications Institute documents for architects, engineers, specifiers and contractors. For Crestron Roller Window Shades - Horizontal Sheers. Construction Specifications Institute documents for architects, engineers, specifiers and contractors. For Crestron Roman Shades. Construction Specifications Institute documents for architects, engineers, specifiers and contractors. For Crestron Draperies. Construction Specifications Institute documents for architects, engineers, specifiers and contractors. Note: you must be logged in as an Authorized Dealer or Partner to browse and download firmware.